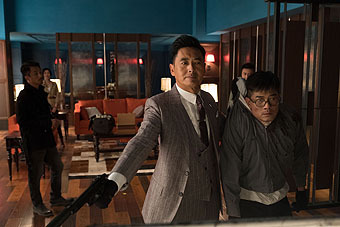 Synopsis: The Hong Kong police are hunting a counterfeiting gang led by a mastermind code-named "Painter" (Chow Yun-fat). The scope of their criminal activities extends globally and attracts the attention of the police. 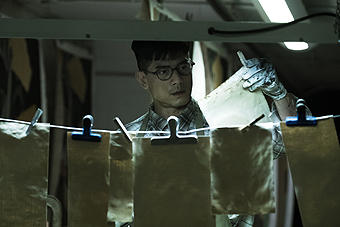 In order to crack the true identity of "Painter", the police recruits gang member Lee Man (Aaron Kwok) unmask "Painter's" secret identity. 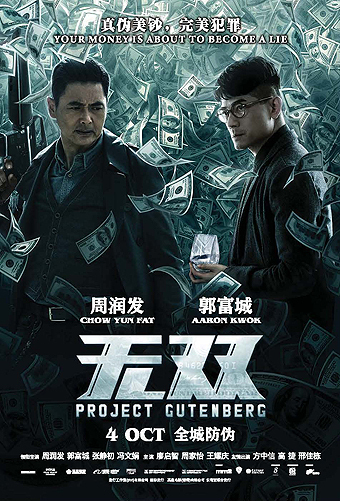 Lest there be any doubt, ‘Project Gutenberg’ bears no relation to the volunteer effort to digitise and archive cultural works; rather, as conceived by one-half of the ‘Infernal Affairs’ and ‘Overheard’ writing duo, it revolves around the counterfeit artist Lee Man (Aaron Kwok), who is recruited by the Hong Kong Police to take down the mastermind of the syndicate he used to work for. 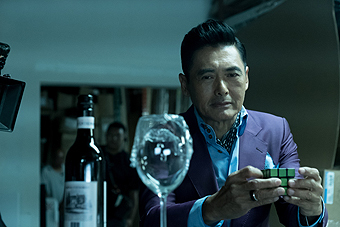 That charming, temperamental and ruthless criminal goes by the name of ‘Painter’ (Chow Yun Fat), has thus far not been identified by the authorities, and is apparently responsible for a series of murders. Though at first fearful of Painter’s reprisal, Lee Man is eventually persuaded by his old flame Yuen Man (Zhang Jingchu), who agrees to bail him out provided he help the Police apprehend the same man that had murdered her fiancé. So on the basis of a recorded statement, Lee Man recounts how Painter had recruited him back when he was just a struggling artist, how he worked together with Painter and the other members of Painter’s crew to manufacture the perfect replica of a US$100 bill, how he grew disillusioned with Painter’s brutal methods, and last but not least how they eventually fell out that led to his downfall and subsequent arrest. Oh yes, it is a sprawling account all right, stretching from Vancouver to Hong Kong to Poland to Laos and finally to Thailand over the span of about two decades. 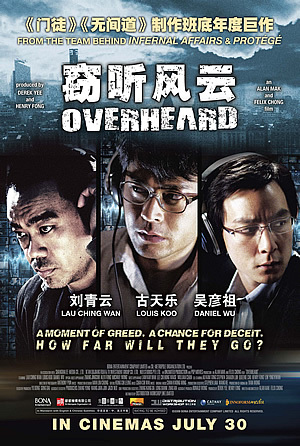 And at slightly more than two hours, it also feels its length – comprising an all-too leisurely first act that lacks momentum; followed by a much more engaging second act of vendettas, ultimatums and showdowns; and a last-minute twist that deliberately unravels everything the movie had wanted us to assume about Painter and Lee Man. This is only Chong’s second solo outing as both writer and director (the first was the underwhelming gangster spoof ‘Once A Gangster’), and his greenness is obvious. 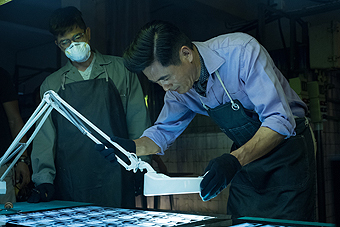 Too much time is spent in the first half-hour on details that don’t matter: Lee Man’s time in a Thai prison where he scrapes paint off the cell walls to forge stamps; his subsequent transfer into the hands of the Hong Kong Police led by Inspector Ho (Catherine Chau); Ho’s attempt to frame him for the murders in a bid to get him to cooperate; the Deputy Commissioner (Alex Fong), who happens to be Ho’s father, standing up to Yuen Man’s legal representative demanding that Lee be released. We couldn’t agree more with Inspector Ho’s utterance at the end of that half-hour to bring Painter into the picture already, and even that is after Lee describes his romantic past with Yuen Man, including how he had intentionally broken up with her in order not to hold her back from her potential as a professional artist. Things do get briefly more exciting when Painter finally shows up, offering Lee a job in his lucrative family business of replicas (not counterfeits, mind you). Yet the pace slackens again when Chong, enamoured with the ins and outs of printing counterfeit banknotes, puts us through the step-by-step process of how Painter develops his technique. Scene after scene demonstrates how to get the image of the banknote right, how to reproduce the watermark, how to get the correct thickness and material of the plating, the method of intaglio printing, where to source for starch-free paper, and how to obtain the colour-shifting ink required. Granted, no other film in our memory has so intricately laid out these details, but aside from bringing us on a globe-trotting adventure to procure the equipment and materials needed, the next half-hour that Painter sets up his operation doesn’t make for very compelling cinema at all. The same can be said of Painter’s relationship with Lee Man up till this point; it isn’t clear to what extent Lee Man is taken with Painter, be it Painter’s exhortation for Lee Man to step up to the occasion to be the “leading man” or Painter’s debonairness basking in that very position. 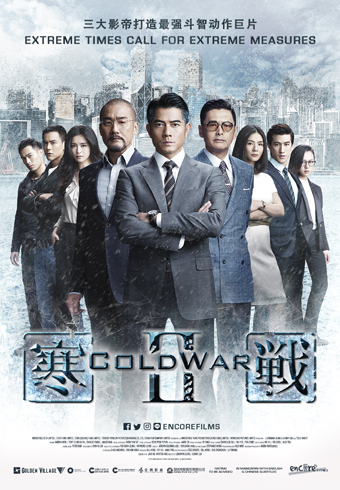 Even less defined are the dynamics among Painter’s crew, who are largely relegated to standing around filling the background; the only exception in this regard is plating specialist Uncle Yam (Liu Kai Chi), who worked with Painter’s father before the latter was brutally murdered and who is respected as an ‘elder’ in the team. 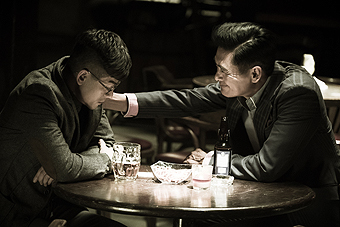 It is only halfway through the movie that there is clarity just how their relationship will end up being, but without first establishing the camaraderie between Painter and Lee Man, their subsequent falling out isn’t quite as gripping. Notwithstanding, their unravelling still makes an interesting watch, as Lee Man grows increasingly traumatised by Painter’s violent streak – angered by a guard who wounds him in the shoulder, Lee Man pumps him dead with multiple bullets; bent on avenging his father, Painter takes the fight to a Laotian general’s (Jack Kao) base camp within the Golden Triangle; and during a meeting with a Canadian Federal Police officer disguised as a potential client, Painter eventually shoots the officer dead right in front of Lee Man. As Painter, Chow is as magnetic as ever, oozing charisma, menace and viciousness in equal measure; on the other hand, Kwok doesn’t seem quite know what to make of his character, so from scene to scene and over the course of the movie, sticks to the monotony of portraying Lee Man as timid, faint-hearted and utterly uncomfortable with the criminal world Painter has sucked him into. There has been some hype about Chow returning to his action-hero glory days in ‘Project Gutenberg’, but if you’re harbouring such expectations, we’d advise you to cast them aside. There are just three big action sequences to speak of – a robbery on an open stretch of road in the countryside; the surprise guerrilla-like attack that Painter and his crew launch on the Laotian General’s base; and a shootout in close quarters within a hotel room – and even then, only the first two genuinely qualify as showpieces. But despite an assist from Li Chung-chi as action director, neither is particularly thrilling, not least because they seem haphazardly filmed and pieced together, therefore lacking sense of continuity in between shots. There is one particular image of Chow firing two machine guns slung on both shoulders that is clearly intended as a money shot, but it is ultimately lost amidst a flurry of other shots messily stitched together. 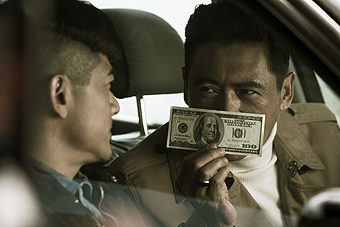 But Chong deserves credit for mounting such an ambitious crime thriller in the first place, especially since the subject of currency counterfeiting has not yet been developed in such scale or scope in Hong Kong or Chinese cinema. ‘Project Gutenberg’ should therefore be celebrated as a milestone in itself, and while it would have benefited from a tighter narrative and sharper characterisation, it certainly has enough novelty, inspiration and intrigue to hold your attention for most of its duration. 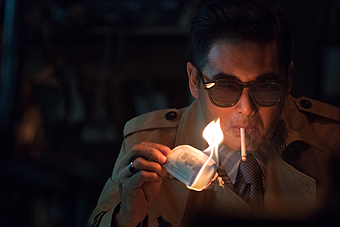 Of course, there is also the satisfaction of watching Chow Yun Fat on the big screen, which never fails to remind us just why he is a bona fide movie star. 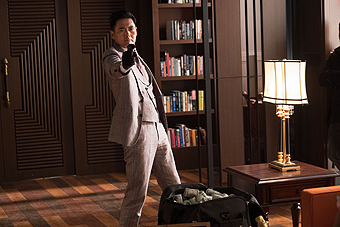 It doesn’t reach the gold standard of ‘Infernal Affairs’, but it is on the whole as good as any of the ‘Overheard’ movies, so consider that our assessment of whether you should give this Project a pass.